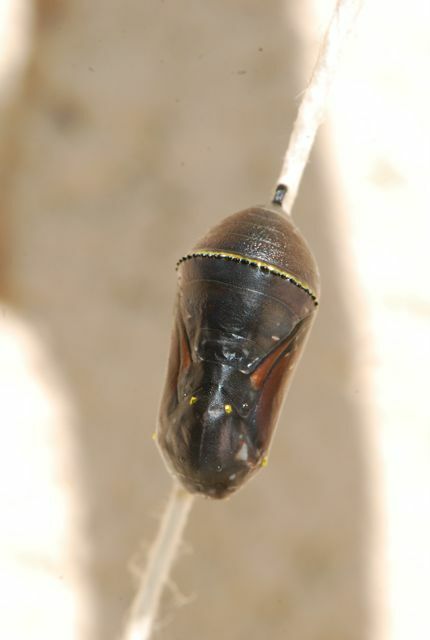 One of the queen caterpillars from two weeks ago formed a chrysalis. 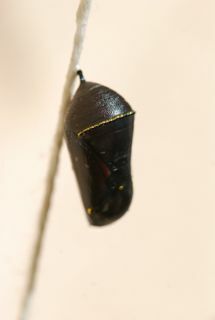 After being beige for about two weeks, the chrysalis turned black. 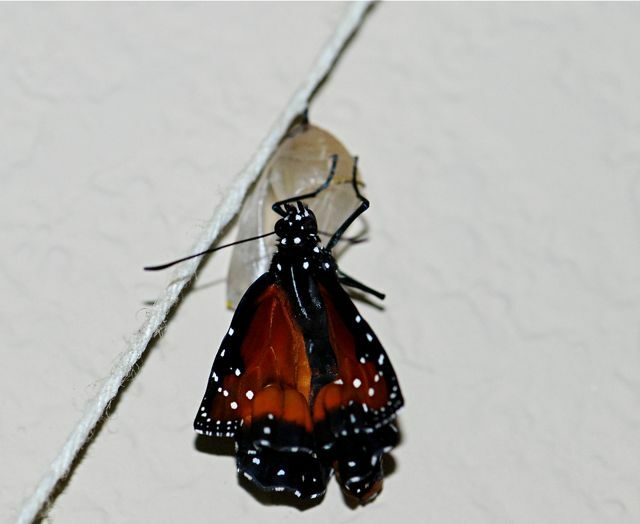 We took it outside to finish pumping up its wings. 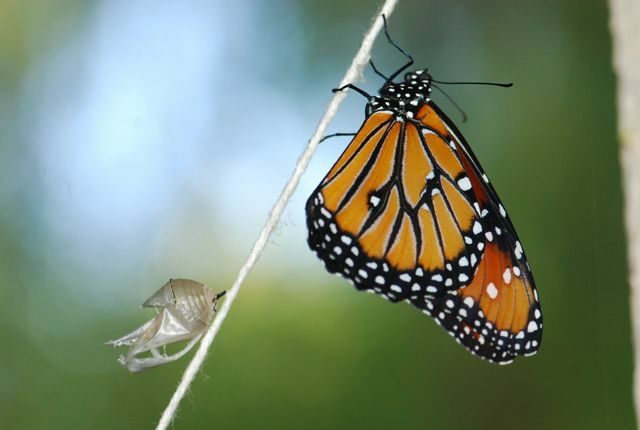 Is there anything more beautiful than a freshly emerged butterfly?